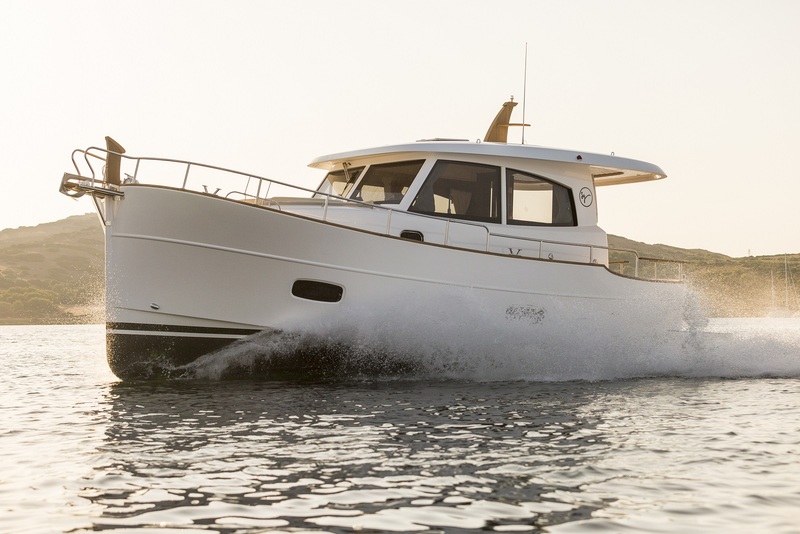 Functionality and superior use of living space has garnered international praise for the new Islander 34 hardtop. 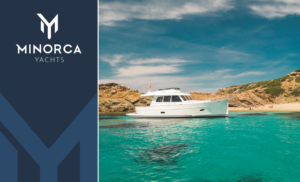 Inspired by the sea-keeping ability of traditional Spanish fishing “llaüts”, Minorca’s Islander 34 includes an exceptionally voluminous and practical use of interior and exterior space, plumb bow, high freeboard, rounded stern sections and large swim-platform. 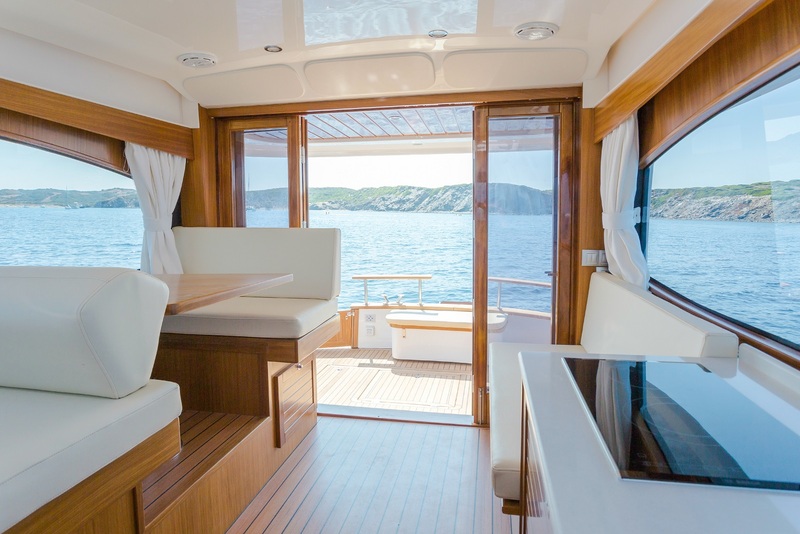 She is designed to provide comfort and functionality for family cruising and adventure seekers alike. 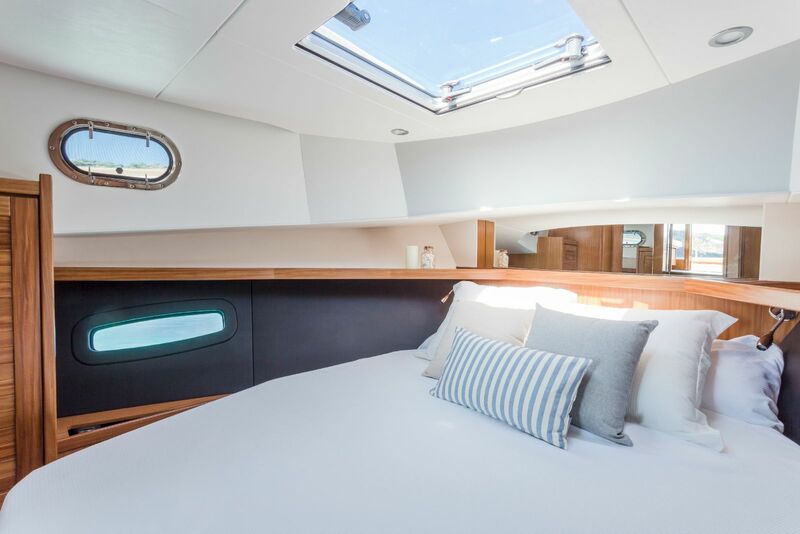 Entering through two elegant bi-fold doors, the living area is a spacious salon and galley, with the helm situated on the starboard side. Large windows surrounding the salon bring an abundance of natural light, creating a beautiful indoor viewing area. Simple, unadorned fabrics keep the mood calm and relaxed throughout her interior. 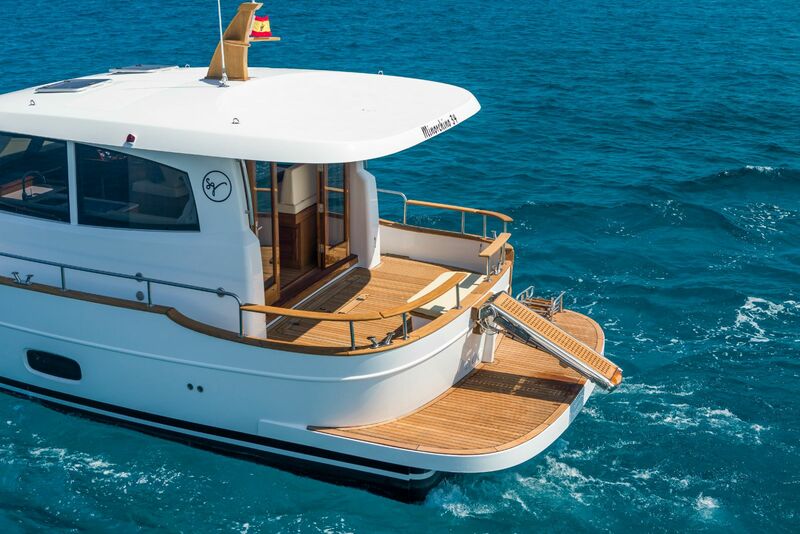 Retro-inspired influences outline the 34’s exterior, such as a wooden stem post and wooden mast, and serve as a gentle reminder of her traditional Spanish heritage. 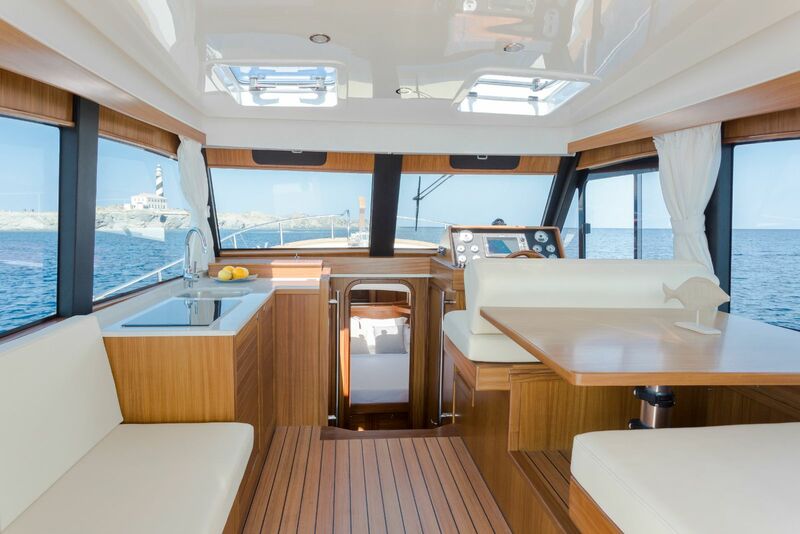 The Islander 34 offers a spacious aft deck, with more than enough room for outside seating and dining. 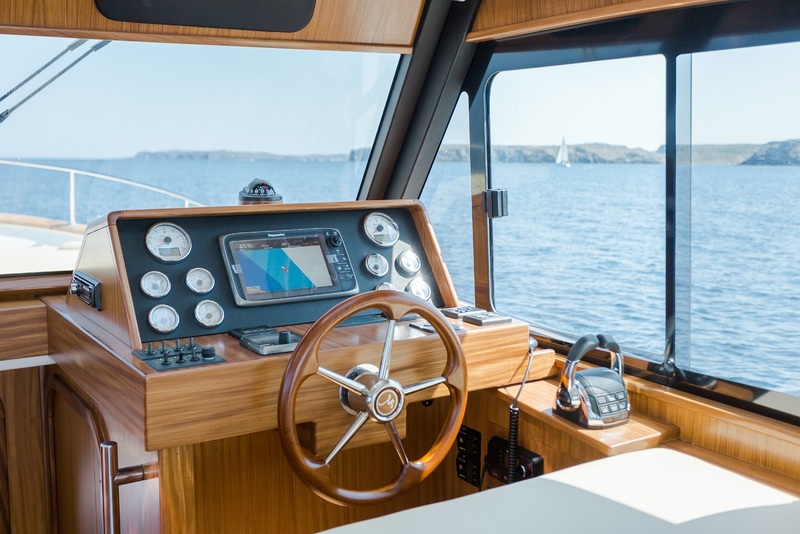 She features ‘walk-around’ side decks, with large gunwales and traditional handrails for added protection and safety for children. Performing well at displacement or planing speeds, cruising between 12 to 18 knots can be easily achieved via twin 225hp engines. Noise and vibration are kept to the bare minimum. 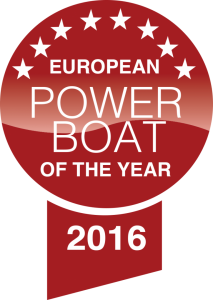 Nominated in the 2016 European Powerboat of the Year awards and winner of the 2016 Croatian Boat of the Year award.